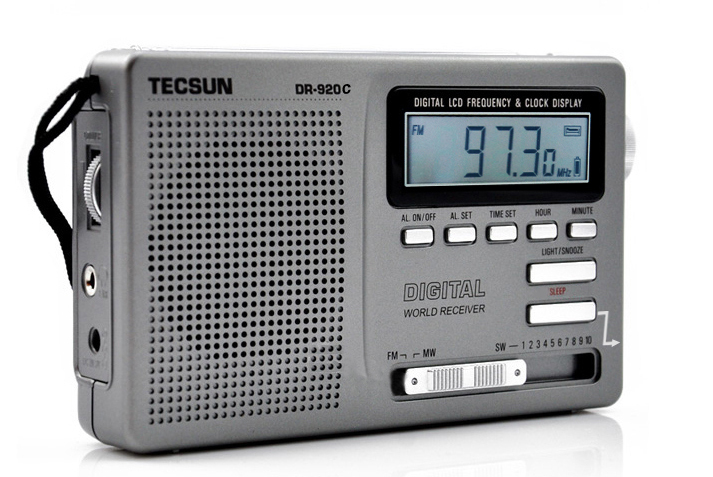 The Tecsun DR-920 is a compact, low-cost single-conversion portable radio with FM, MW (AM) and 10 SW bands (75, 60, 49, 41, 31, 25, 22, 19, 16 & 13m). 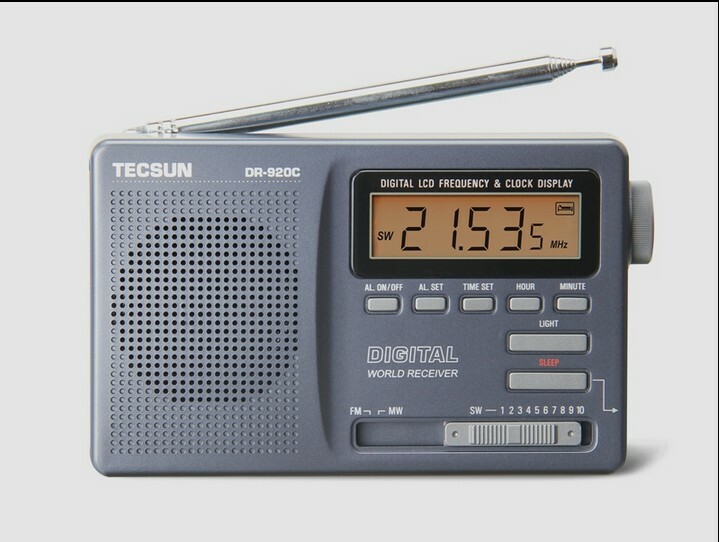 Unlike other Tecsun models, this radio is noted for exceptional shortwave performance. Shortwave Radio Listening is one of the most popular radio activities in the world. Even with the advent of the world wide web, Shortwave Listening stands apart because it provides some of the best "unfiltered" news and content to be found. The joy of SW listening is that you don't need expensive equipment, a connection to the internet, an elaborate antenna, or even AC mains power. To pick up most broadcasts, a few batteries and an pocket-sized shortwave radio are all you need. This is simplicity at its best, and the reason there are so many people SWLing today. Of course, once you've mastered the basics of Shortwave listening you may also be interested in DXing (searching for more distant stations) which will require an upgrade from your pocket-sized radio; however, even then, you may be amazed at how little it takes to put together a good DX-chasing set-up. This Tecsun radio is a great unit for the ardent radio listener and provides hours of joyful listening to stations all around the world with little more than a couple of batteries, Ideal for camping and outdoors. Comes with an elegant carry pouch. Powered by 2 x AA batteries or 3v DC adaptor (not included).